Last weekend Apple issued an update to iOS 11 that fixed a bug that could cause an endless loop of crashes if certain notifications were received by a user. Version 11.2 of iOS also set the stage for the rollout of Apple Pay Cash, Apple’s peer-to-peer money transfer service that’s built into the Messages app. 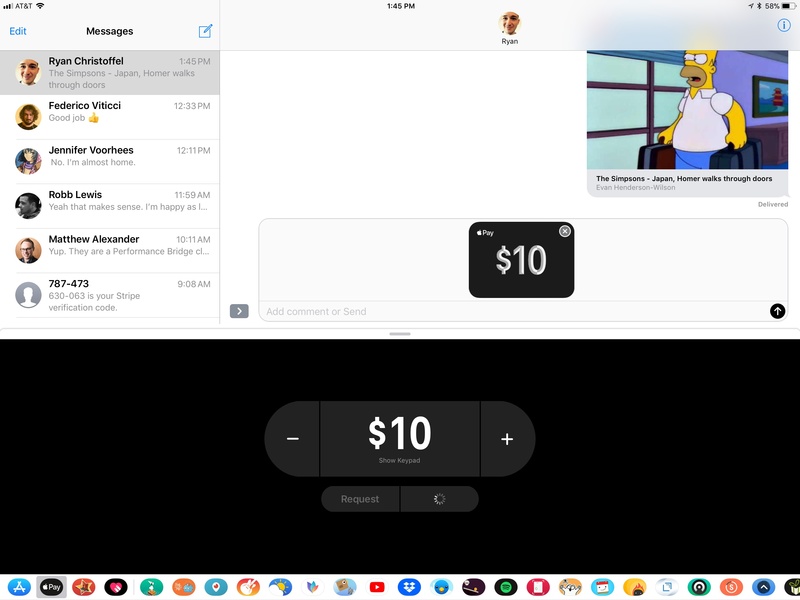 Apple Pay Cash is currently a US-only service that lets users send each other cash via iMessages. An Apple Pay button will appear in the app and sticker tray of Messages on any Apple Pay-compatible iPhone or iPad. The service, which debuted at WWDC in June and was previously available only to beta testers of iOS 11.2, includes integration with Siri. Messages also automatically suggests using Apple Pay Cash if money is mentioned in a text message. If the service is tied to a debit card, there is no fee to send money to someone. However, users who use a credit card will be charged a 3% fee. There is also a $3000 limit on individual transactions and a $10,000 limit on sending or receiving funds within a seven-day period.